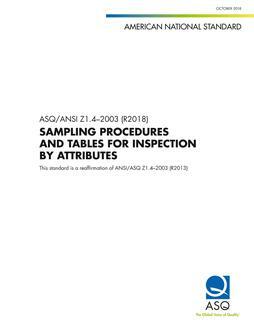 Sampling Procedures and Tables for Inspection by Variables for Percent Nonconforming is an acceptance sampling system to be used on a continuing stream of lots for AQL specified. It provides tightened, normal, and reduced plans to be used on measurements which are normally distributed. 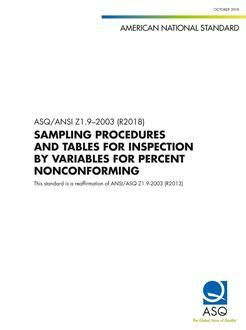 Variation may be measured by sample standard deviation, sample range, or known standard deviation. It is applicable only when the normality of the measurements is assured.